shut its doors after majority investor Tom Dundon pulled his funding two weeks prior to the league’s initial playoff matchups. With financial concerns arising as early as its first week of regular season games, the AAF had long struggled with the reality of life as a start-up league in the National Football League’s (NFL) shadow. While they would receive significant assistance from billionaire Tom Dundon last February, his $250 million pledge would ultimately prove insufficient. 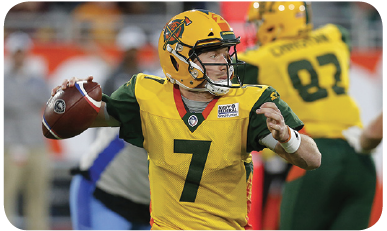 teams like the Orlando Apollos and Birmingham Iron leading the way, the AAF appeared to be an ideal opportunity for those looking to revamp their football careers. In fact, it had gained such prominence that its championship game was moved from Las Vegas to Texas just prior to the shutdown. While the league indicated it will continue to pursue a potential return for a second season, the assumption is that this would be dependent on their ability to rectify its operation in the coming months. For now, though, a plethora of talented athletes are out of work after what looked to be a promising opportunity.